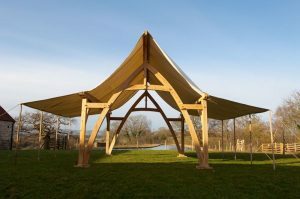 The ‘Medieval Cruck Marquee’ is a stunning wedding marquee structure available from our Surrey location. 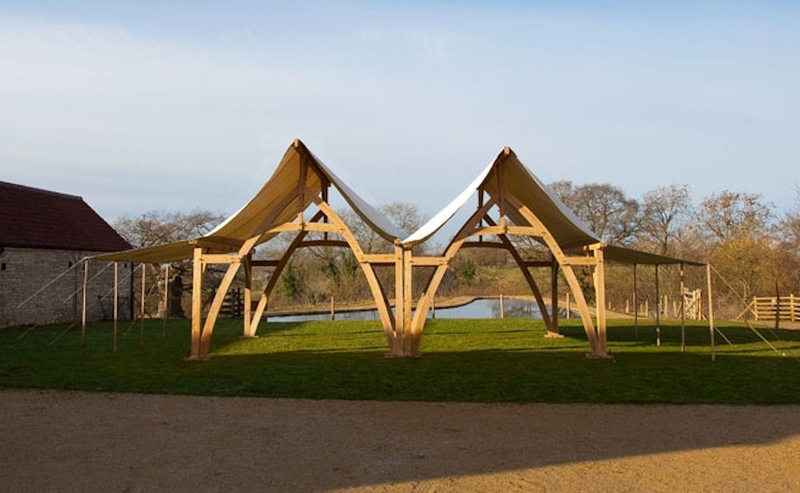 It is a traditional oak cruck frame, based on a 13th century Gothic design. 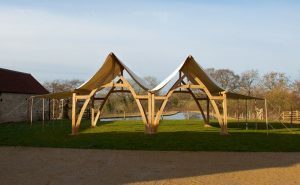 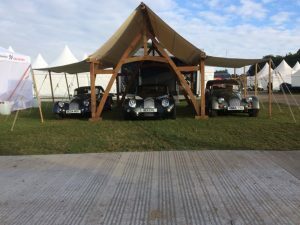 Each one is unique due to the natural shape of the arch or ‘cruck’ at either end. Handmade in Oak, with tapered oak pegs holding the frame together. 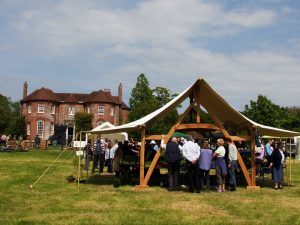 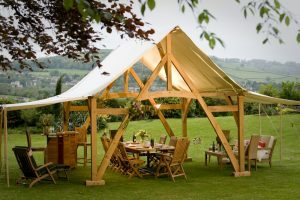 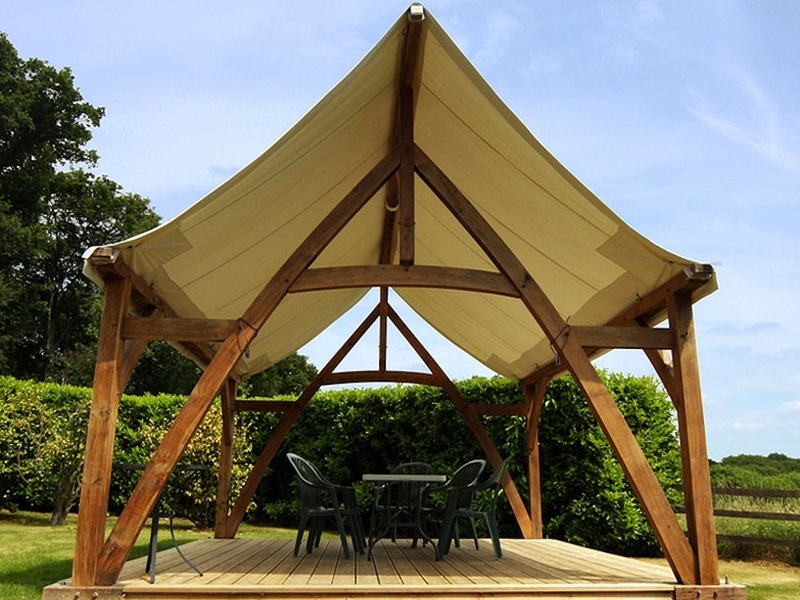 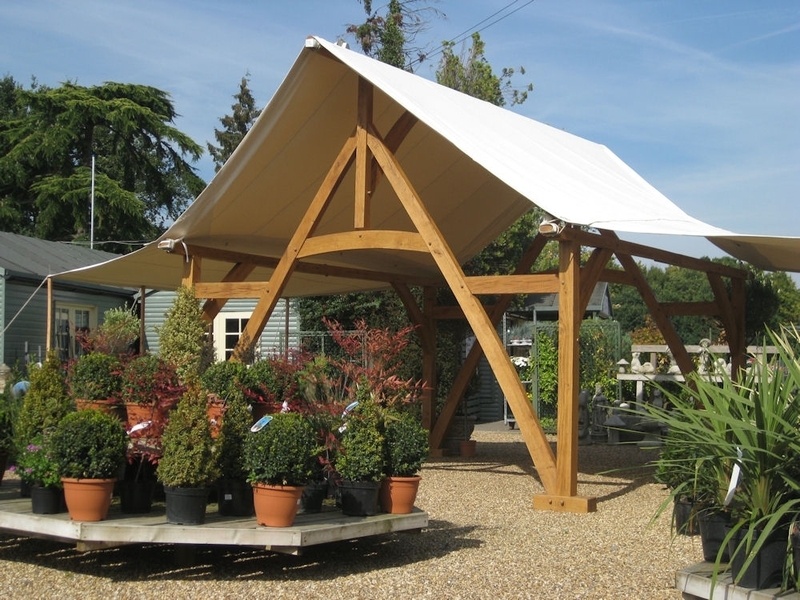 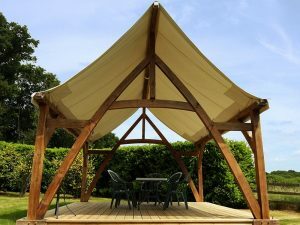 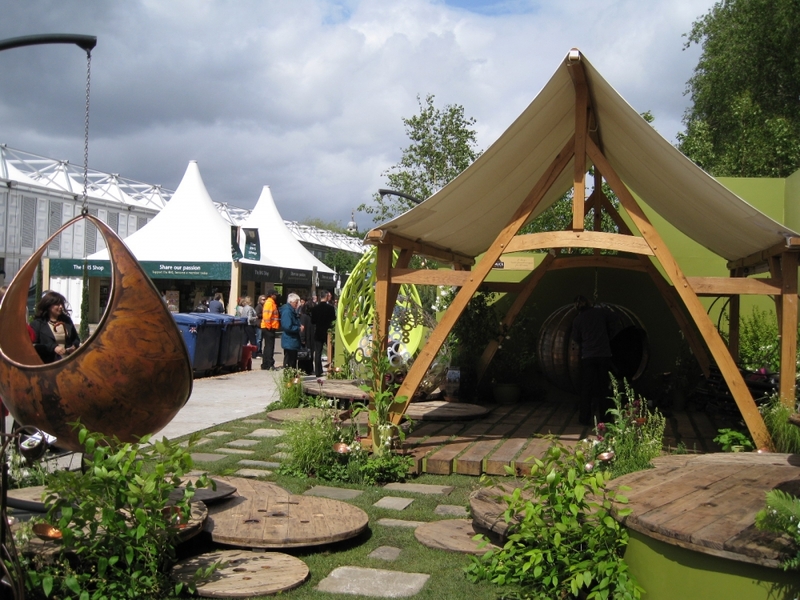 The Medieval Cruck Marquee measures 8M x 6M (with side extensions), weighs approx. 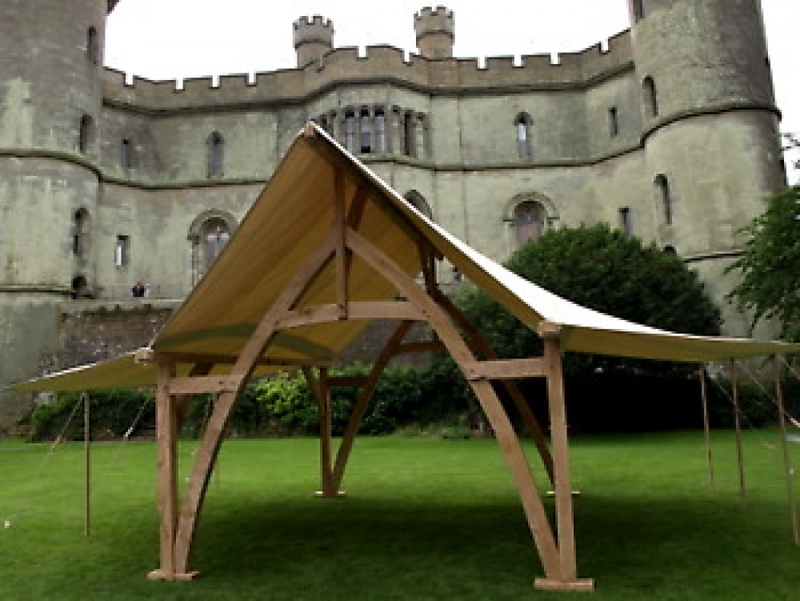 one ton, takes 3-4 hours to construct after delivery, and approximately 3.5 hours to dismantle. 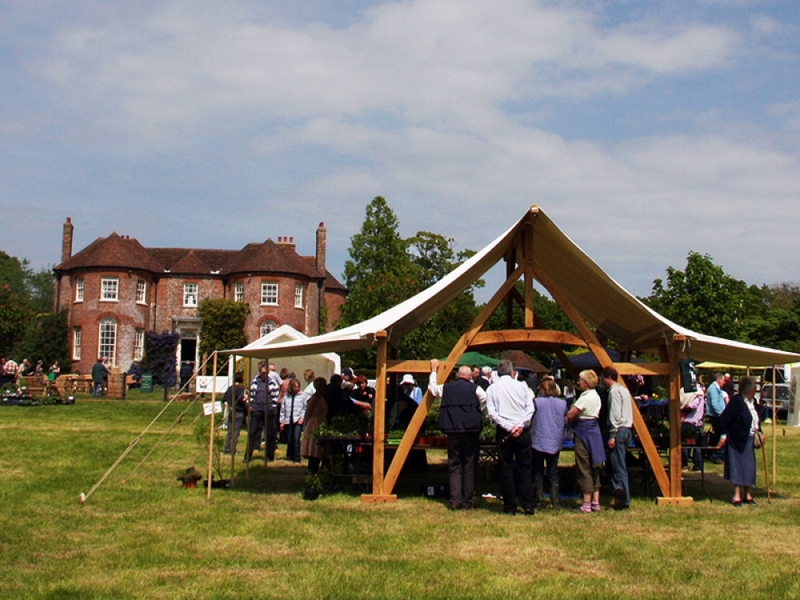 Two Medieval marquees can be paired to form a ‘Siamese’ Medieval Cruck Wedding Marquee. We are based in Guildford, Surrey and so perfectly placed to deliver across the home counties. 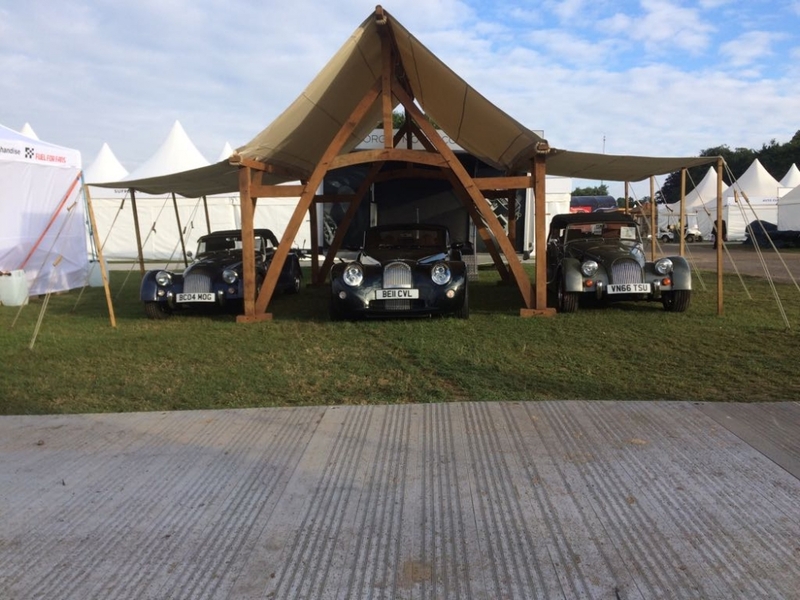 Call us on +44 (0) 1483 210142 or message us through our Contact page.